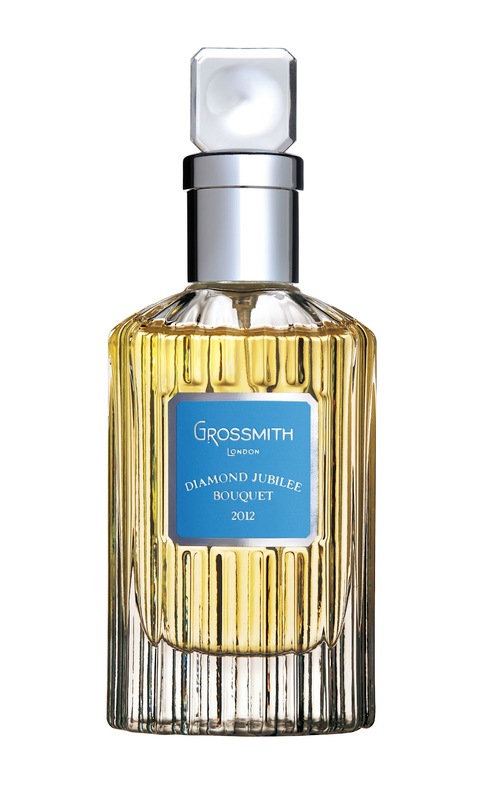 Diamond Jubilee Bouquet is the essence of modern Britannica with a tight nod to the heritage that made the Grossmith House what it is today. Bluey fresh tones of steely Spring light open to reveal an enormous bouquet of traditionalist blooms (Jasmine, heaps of lily of the valley and narcissus, rose, Victorian style violet, powdery green-stemmed carnation, unmistakable Iris and the sharpness of Hawthorn, which represents ‘hope’), all tied together with a modern ribbon of Vanilla, musk and amber that adds a frisson of subdued sexiness to this most powerfully feminine of scents. This is undeniably British from it’s upfront and faintly uptight (in a good way) burst of Eliza Doolittle tinged cockiness quickly transformed into a paragon of elegance and refinement fit for the company of Royals. But here’s the rub. This is the real deal, through and through. A thoroughbred fit for a Queen. Diamond Bouquet becomes more subtle, more subdued and more regal as it dries down. Is it for youth? Hell, no. 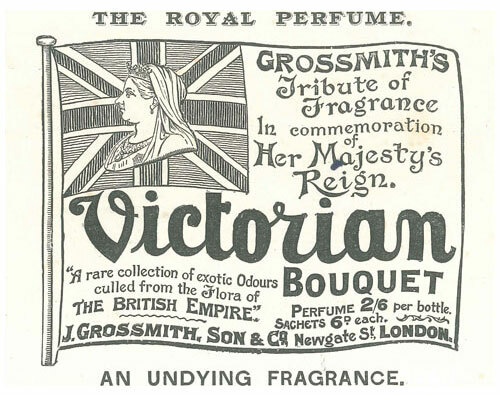 But why waste a beautiful floral coup de gras on the young? 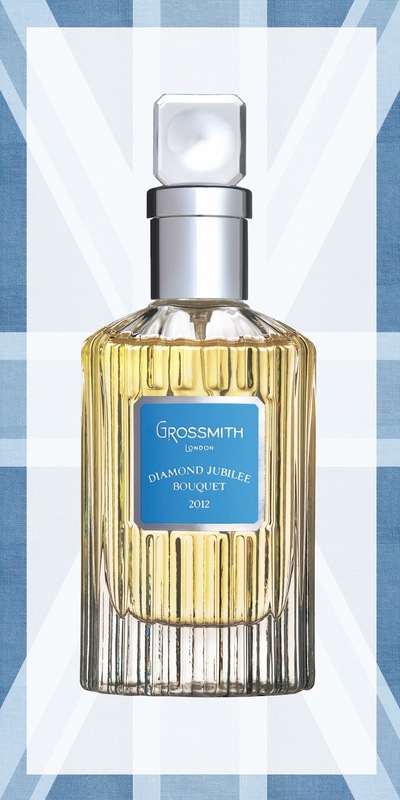 Simon & Amanda Brooke have launched Diamond Jubilee Bouquet to celebrate Her Majesty Queen Elizabeth’s 60 years of reign. 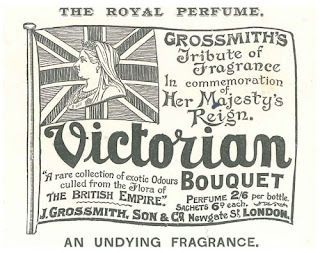 Back in 1897, Grossmith produced a scent to mark Queen Victoria’s Diamond Jubilee, so tradition is being adhered to. 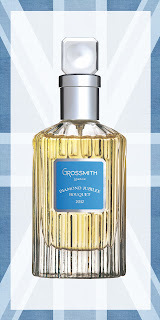 And, to ensure ultra exclusivity, only 500 bottles are being produced and available in the UK only. *British fist in air* Get in good denizens of The Isles. Gather ye fragrance while ye may. 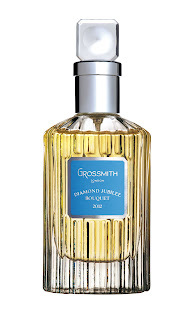 Visit Grossmith for stockists which include Roja Dove Haute Parfumerie, Les Senteurs and Fortnum and Mason.